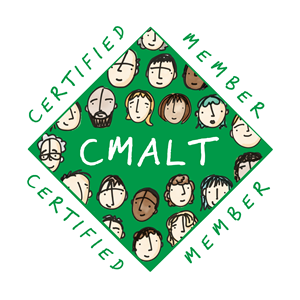 ALTNI are hosting a CMALT programme for 2018-2019. As a cohort, you will work together through your individual portfolios with the aim of submitting for accreditation in May 2019. The cohort will provide guidance, support, and motivation in a structured programme to keep you working through your portfolio and enable you to submit within the time-frame. To apply for a place in the cohort: deadline 30th November 2018. Apply now. The programme is led by Clare Thomson and Craig Dooley, both experienced lead-assessors of CMALT, and supported by the ALTNI committee. The programme will run from January to May and comprise three face-to-face and two online sessions. Each face-to-face session will is a ½ day workshop and an optional (but highly recommended) ½ day writing space. You will be expected to write between sessions, using the writing space or in your own time. There is no cost to join the ALTNI cohort. Detailed information about the fees for submitting your portfolio for accreditation is available on the ALT website. This fee is your own responsibility and funding may be available from your employer. An understanding that the funding is for year 1 registration; future renewal fees are the responsibility of the individual. In the event that a successful applicant is unable to meet these requirements or withdraws from the cohort, the funding will be withdrawn and allocated to another cohort member. One funded registration is available per institution. The successful applicants will be selected by the ALTNI committee in December.